For other ships with the same name, see List of ships named Nimrod. The New Zealand government paid half the cost of the tow; Sir James Mills, Chairman of the Union Steamship Company, paid the other half. The Koonya was captained by Fredrick Pryce Evans during the tow. 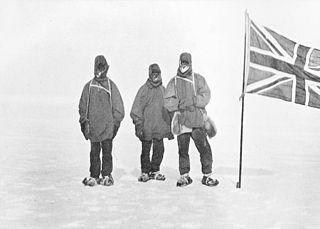 Nimrod was initially captained by Rupert England, but Shackleton was dissatisfied with him and replaced him with Frederick Pryce Evans, who commanded the ship on the relief voyage in 1909. Nimrod was sold on Shackleton's return to Great Britain. Nimrod's fate, 10 years after its return from the Antarctic, was to be battered to pieces in the North Sea, after running aground on the Barber Sands off the Norfolk coast on 31 January 1919. Only two of her 12-person crew survived. 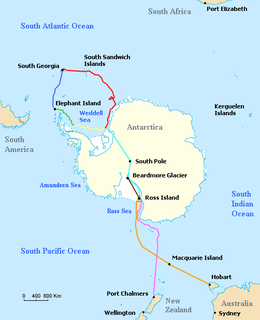 A number of geographic features of Antarctica were named after the ship, including Nimrod Glacier. ^ a b c d "Search results for "1055047"". Miramar Ship Index. Retrieved 31 December 2008. ^ Paine, Lincoln P. (2000). Ships of Discovery and Exploration. Boston: Houghton Mifflin Harcourt. p. 102. ISBN 978-0-395-98415-4. This merchant ship article is a stub. You can help Wikipedia by expanding it.